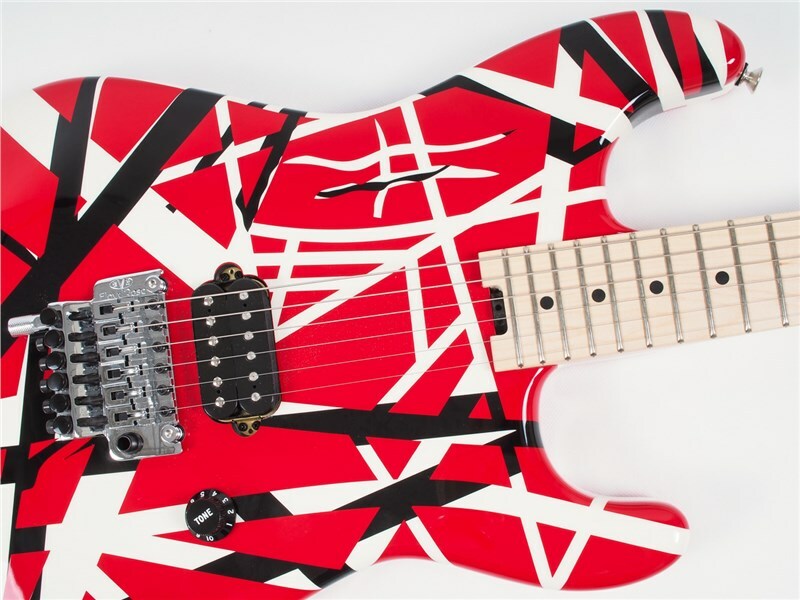 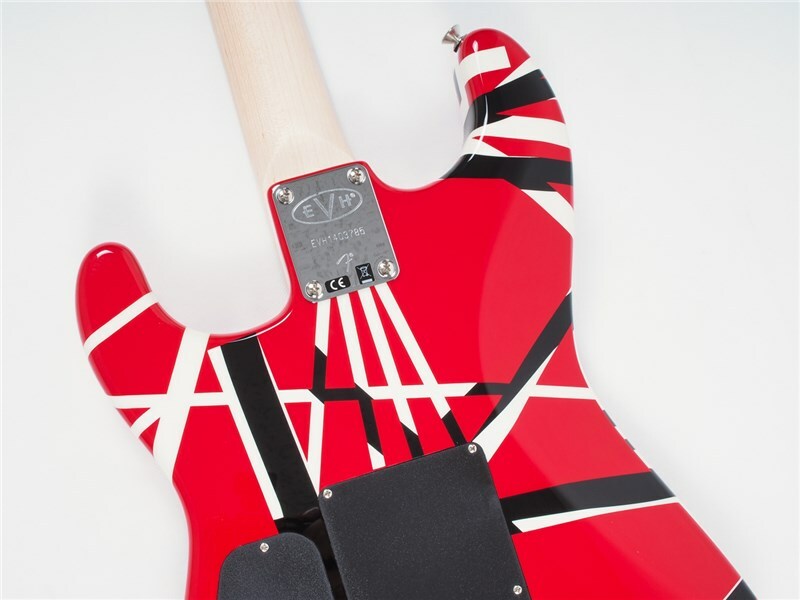 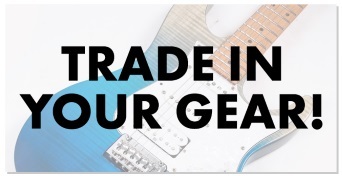 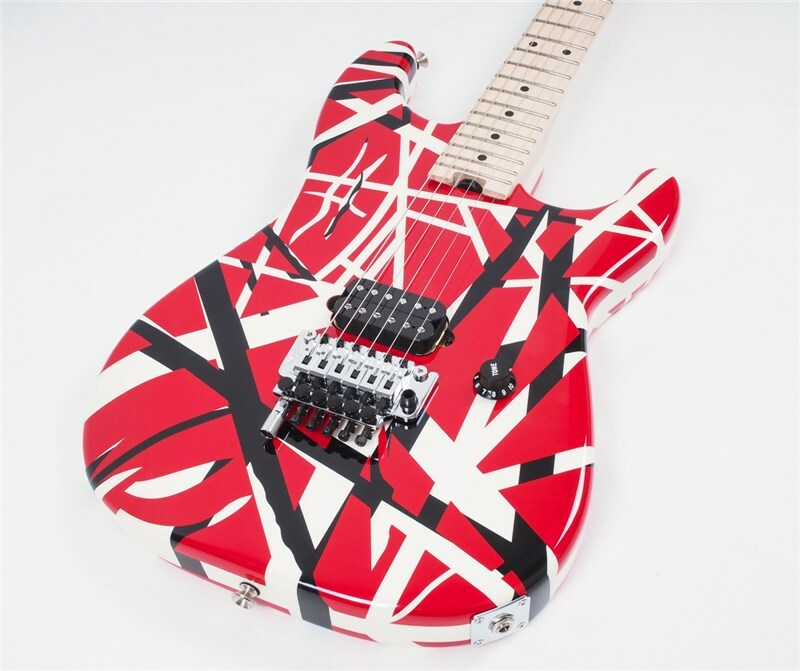 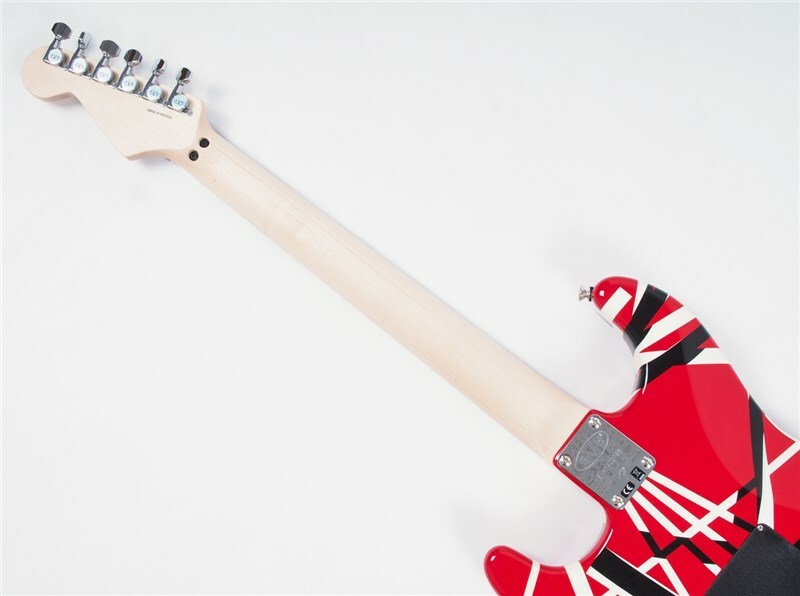 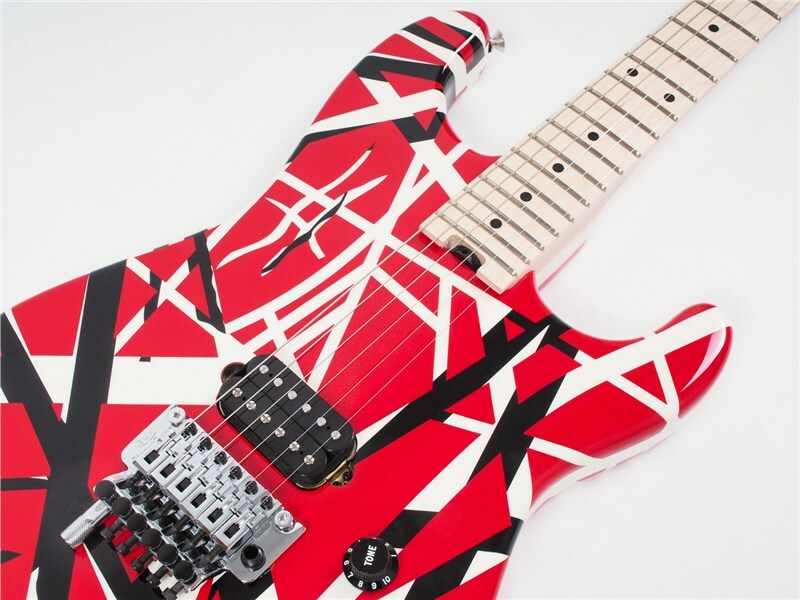 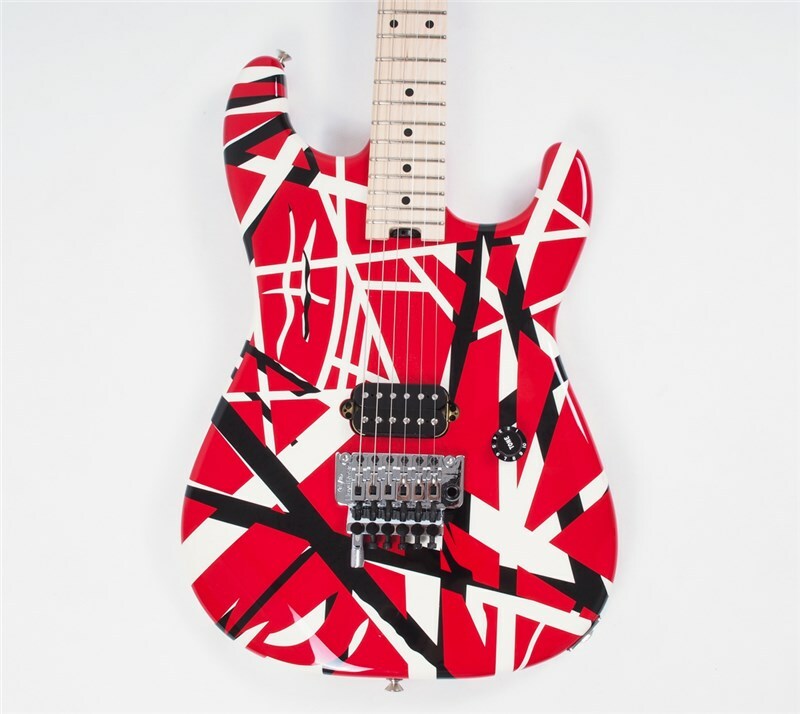 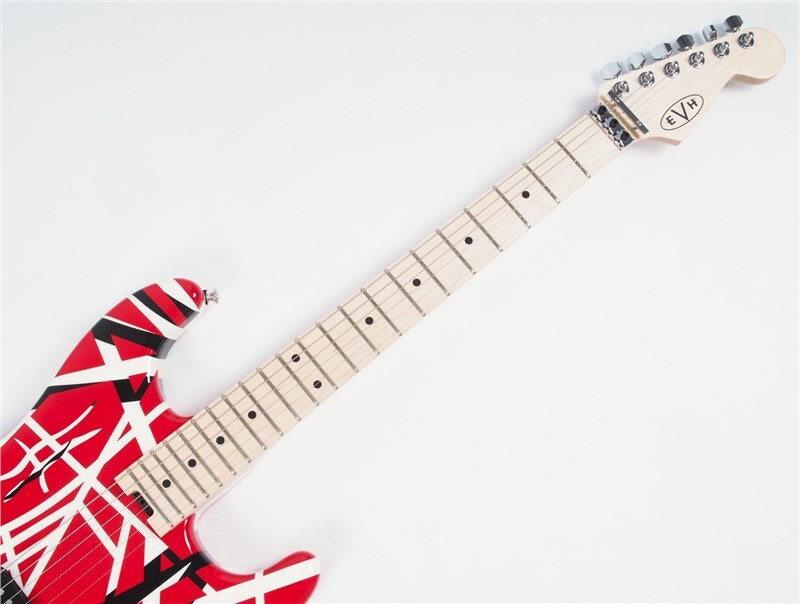 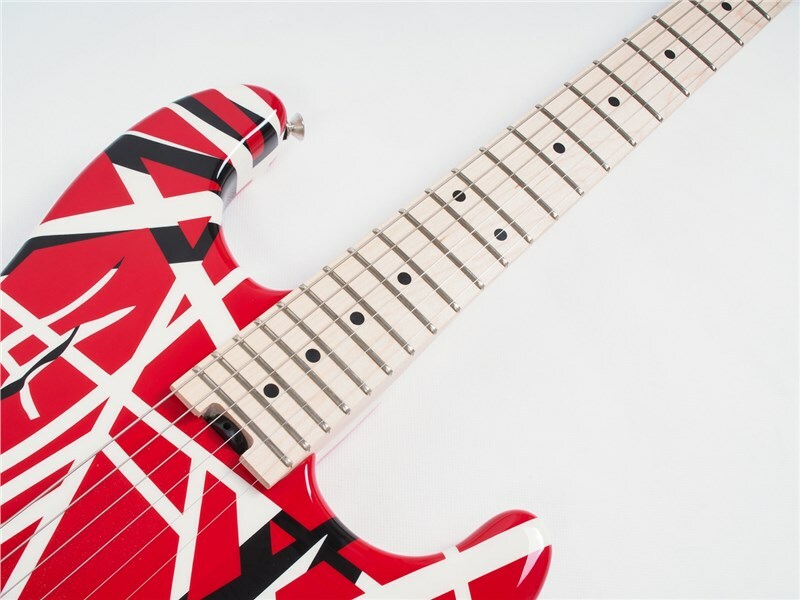 EVH is proud to release the EVH Striped Series guitars, which feature basswood Stratocaster®-style bodies decked out in Eddie Van Halen's famed striped graphics. 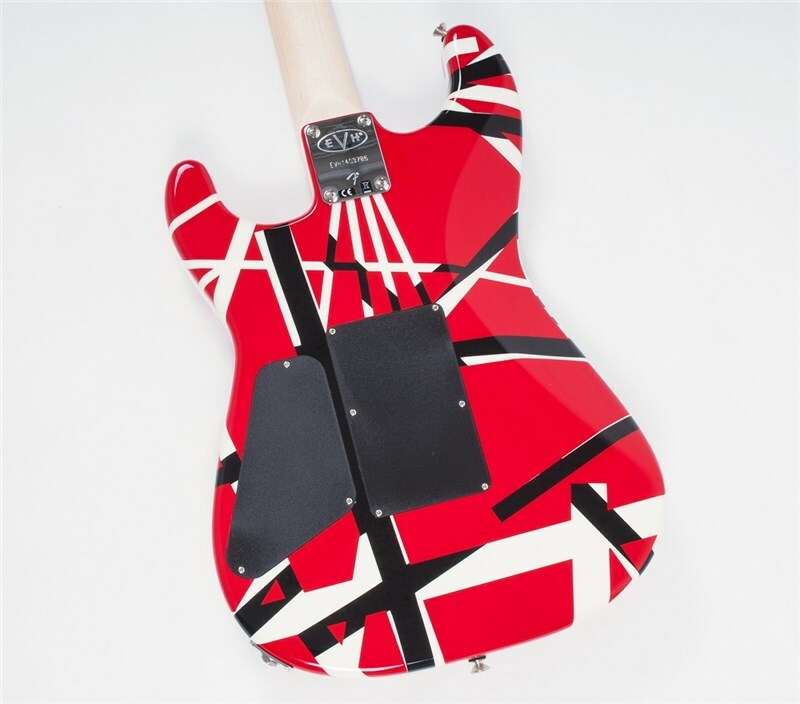 The three versions are red/white/black, black with yellow stripes and white with black stripes. 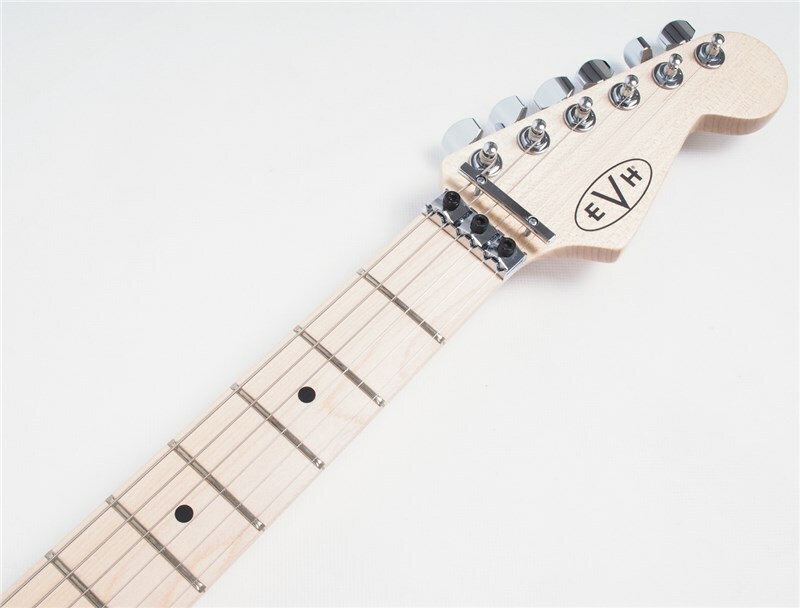 This series also has a quartersawn maple neck with a hand-rubbed oil finish and thumbwheel truss rod adjustment, compound-radius maple fingerboard (12"-16") with 22 jumbo frets and black dot inlays, plus a single ferocious direct-mount Wolfgang® humbucking pickup. 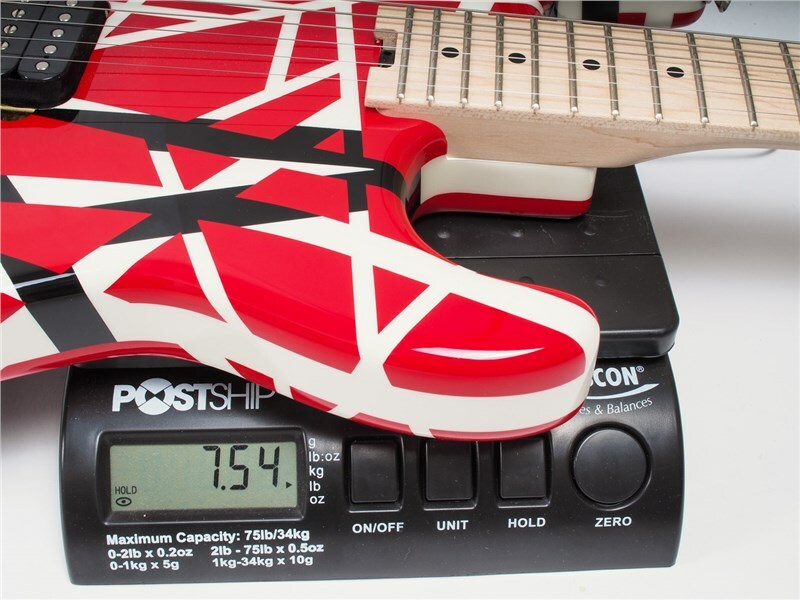 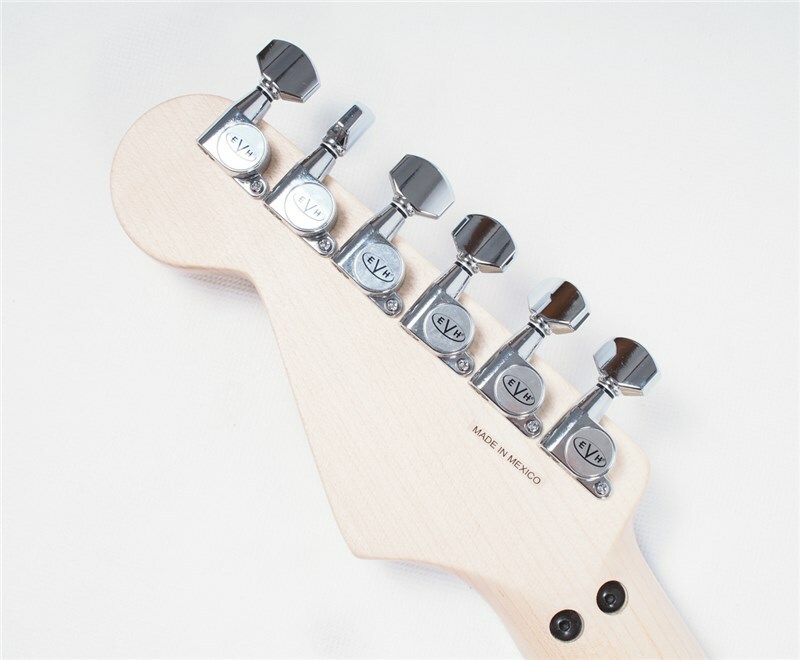 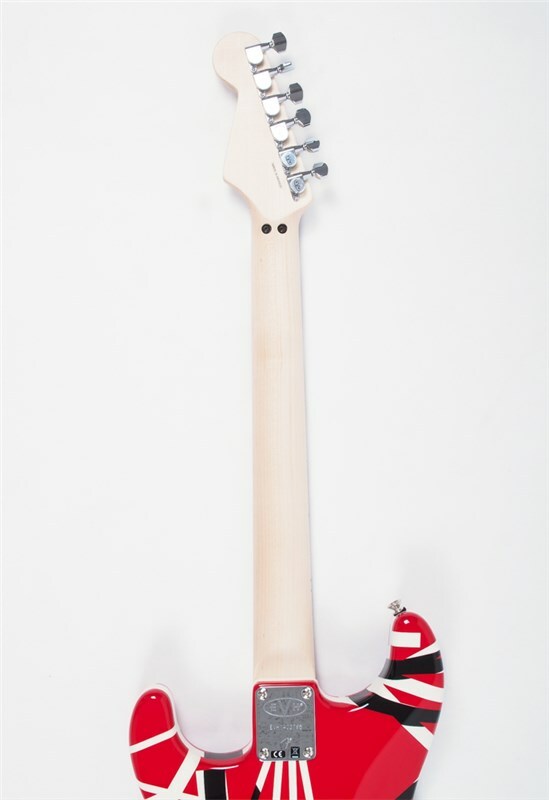 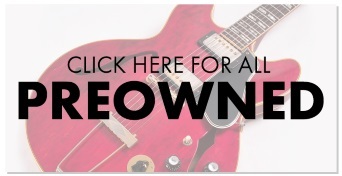 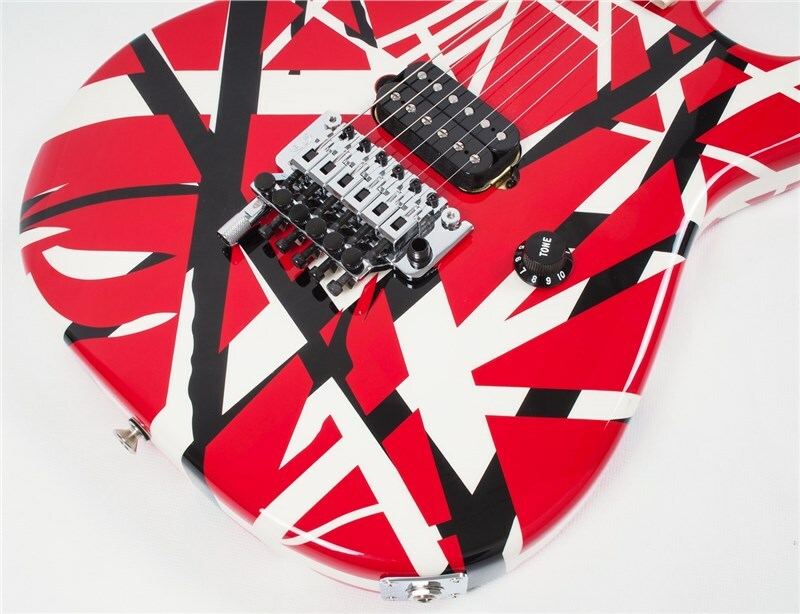 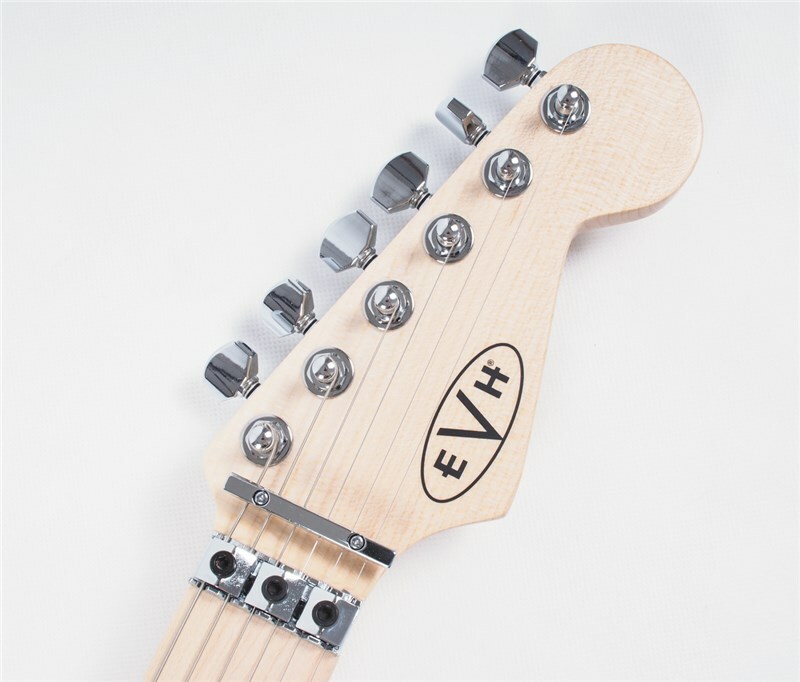 Other premium features include a single volume control knob (labeled "tone"), single-ply black pickguard (on the white and black striped model only), bar string retainer and Floyd Rose® locking nut, EVH-branded Floyd Rose® locking tremolo with EVH D-Tuna®, EVH die-cast tuners, chrome hardware, vintage-style strap buttons and EVH neck plate.